Everything you need to s-t-r-e-t-c-h your archery skills. Includes a 29" recurve bow, 4 rubber suction-tipped darts. 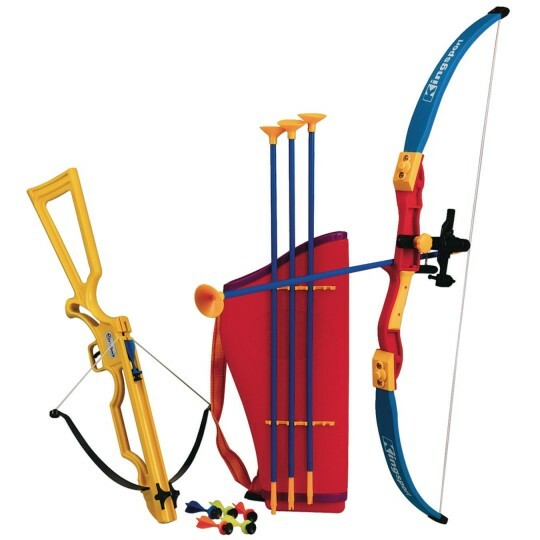 22"L x 18"W toy crossbow with 6 small rubber-tipped darts. Large 38"H stand-up bullseye target. Everything you need to s-t-r-e-t-c-h your archery skills! 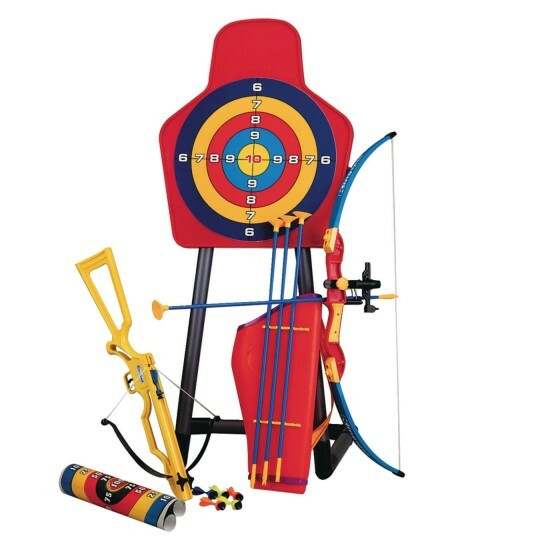 Includes a 29" recurve bow, 4 rubber suction-tipped darts, a 22"L x 18"W toy crossbow with 6 small rubber-tipped darts and a large 38"H stand-up bullseye target.